Building on over a decade of rigorous research around the world and two years of iterative learning in Zambia, the Ministry of General Education will scale up a program called Catch Up to approximately 1,800 schools in Zambia over the next three years. Based on the Teaching at the Right Level (TaRL) approach pioneered by the Indian NGO Pratham, Catch Up aims to improve basic literacy and numeracy skills of primary school students in grades 3–5. The program drew on support from a number of collaborating partners, with J-PAL Africa working together with Innovations for Poverty Action (IPA), Pratham, UNICEF, USAID’s Development Innovation Ventures, USAID Zambia, VVOB, and Zambia Education Sector Support Technical Assistance. The partners’ assistance included sharing global evidence on remedial education, shaping the design of Catch Up by mapping evidence to the Zambian context, supporting pilot implementation and monitoring, and assessing viability for scale up. The ministry hopes Catch Up will address low-learning levels in the country. A 2014 national assessment found that 68 percent of grade 2 learners were unable to read a single word in their local language. Grade 5 students also scored poorly in local language and mathematics. Since 2015, J-PAL Africa has worked with the Zambian government in leveraging the evidence on TaRL to help design, pilot, and expand the Catch Up program. Together with ministry officials and cooperating partners, J-PAL Africa identified Zambia as an appropriate context for TaRL following extensive scoping of the country’s education sector that revealed low-learning outcomes among students in early grades, large variation of learning levels in the classroom, and government commitment to improving students’ basic skills. J-PAL Africa, with several cooperating partners including Pratham and IPA Zambia, created a working group to develop the program’s various components. A subsequent learning journey to India allowed ministry officials to observe a TaRL program in action under Pratham and to meet with Indian government officials leading the program. Over the past year, the government piloted Catch Up in eighty schools. To design the content and structure of the pilot, the Catch Up working group combined evidence on earlier TaRL programs with local knowledge of the particular demands and constraints of the Zambian education space. 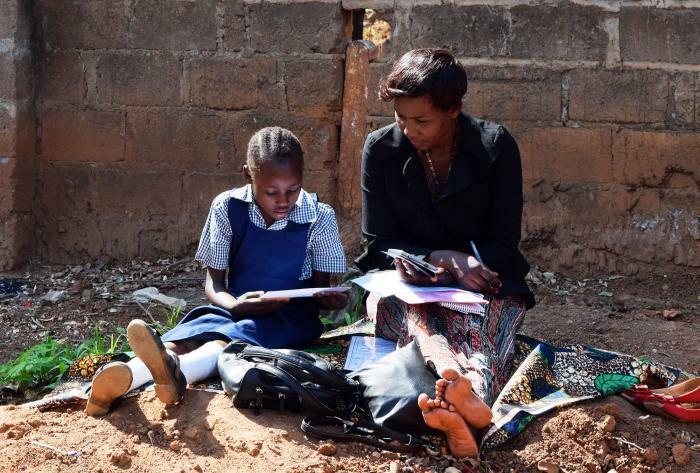 Together with Pratham, the working group developed teaching materials, assessment tools, classroom activities, and monitoring and mentoring processes tailored for the Zambian context. It also identified three potential models for students in grades 3–5, and piloted and assessed the performance of each during October 2016–July 2017. The Ministry of General Education, the Global Partnership for Education, UNICEF, and J-PAL’s Government Partnership Initiative provided financial support to the pilot. VVOB, a Flemish education NGO, provided technical support for implementation. IPA led an independent process monitoring of the pilot. ZESSTA contributed technical assistance and in-kind support. In the coming months, the ministry’s Catch Up working group will feed the lessons from the pilot into the implementation of the program at scale. The next phase will start in January 2018 with support from USAID DIV and the USAID Zambia Mission. Ben supports the Ministry of General Education in Zambia to scale up the Catch Up programme, a TaRL intervention adapted for the Zambian context.